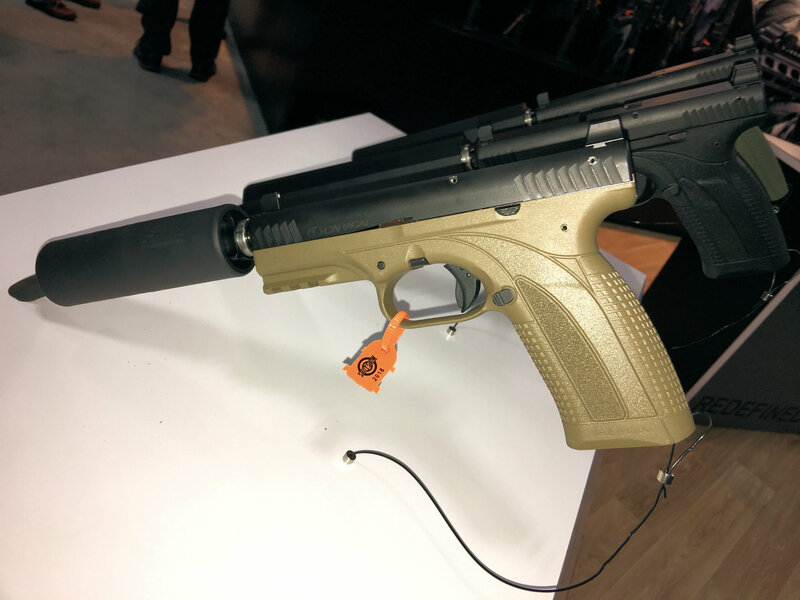 Caracal Enhanced F Striker-Fired 9mm Combat/Tactical Pistol Models: Now Suppressor-Ready, and Made in the USA! | DefenseReview.com (DR): An online tactical technology and military defense technology magazine with particular focus on the latest and greatest tactical firearms news (tactical gun news), tactical gear news and tactical shooting news. 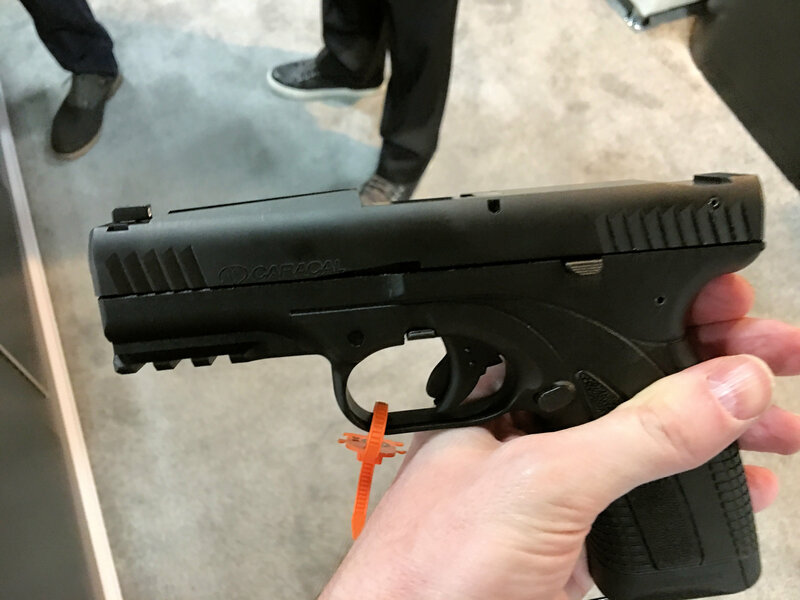 DefenseReview’s (DR) been covering Caracal pistols for quite awhile now, particularly because we’ve always enjoyed T&E’ing them at SHOT Show Industry Day at the Range. 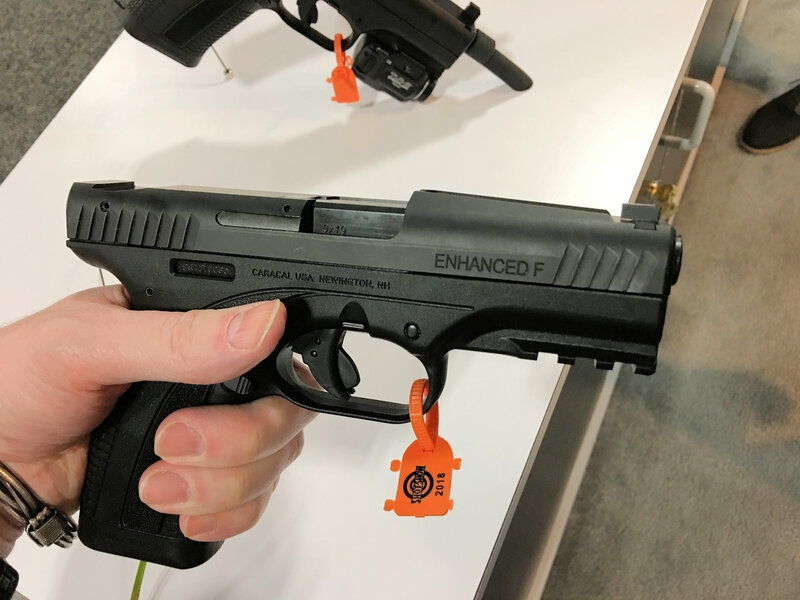 Well, the big news this year is that Caracal USA is now manufacturing the latest and greatest Caracal Enhanced F Pistol variants right here in the USA, which is a big change for them, and a welcome one. Perfect timing, really, for the Trump era. 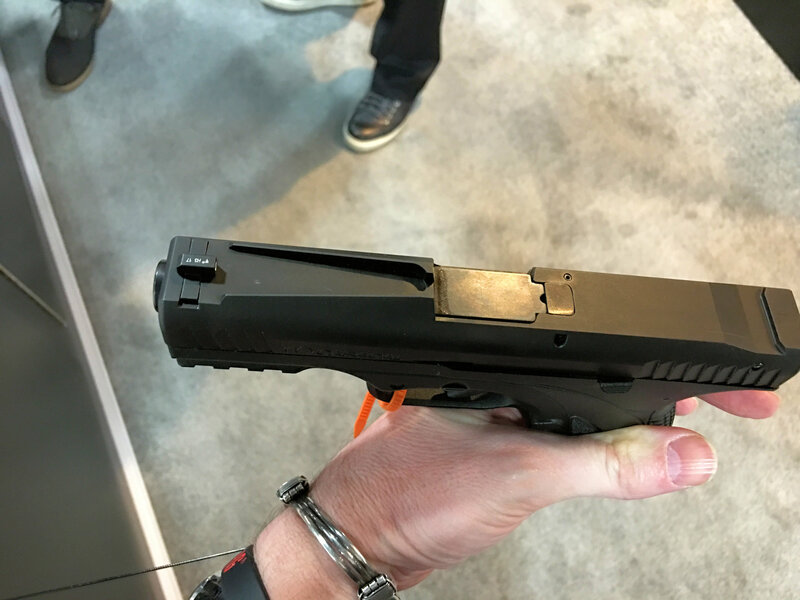 Anyway, Caracal USA’s Brian Leslie was kind enough to take DR through the pistols at SHOT Show 2018, which you can watch in the embedded video below. 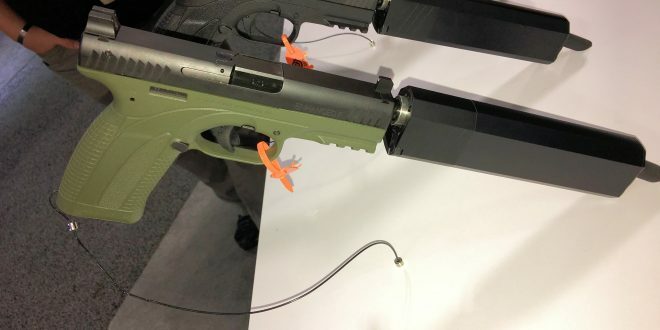 Basically, Caracal USA’s added a Caracal Enhanced F Pistol model with suppressor sights, or “suppressor-height sights” to the line this year (2018), and it appears to be well executed. The standard 3-dot and Quick Sight systems are still available for those who don’t want to go suppressed. Night sights are also optional, we assume for the suppressor sights as well. 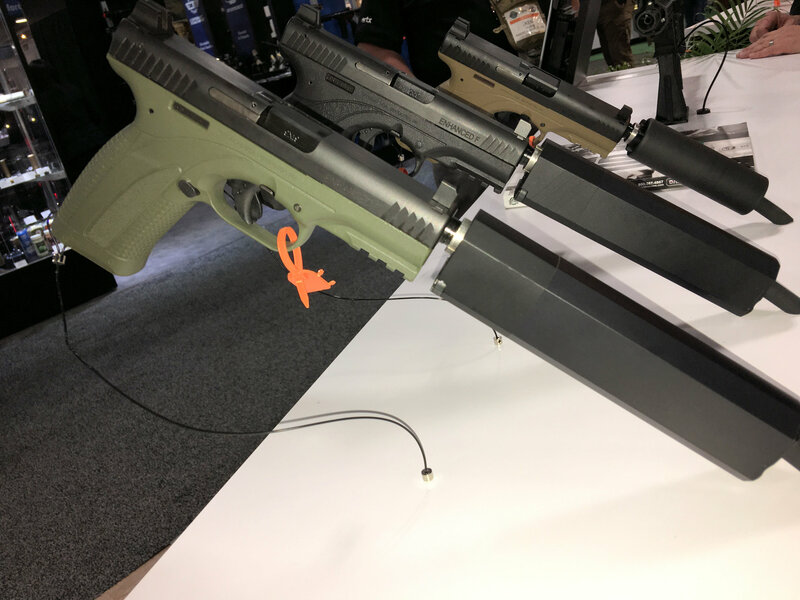 The Caracal Enhanced F Pistols’ main claim to ballistic fame has always been their shootability, especially during rapid fire on multiple targets. 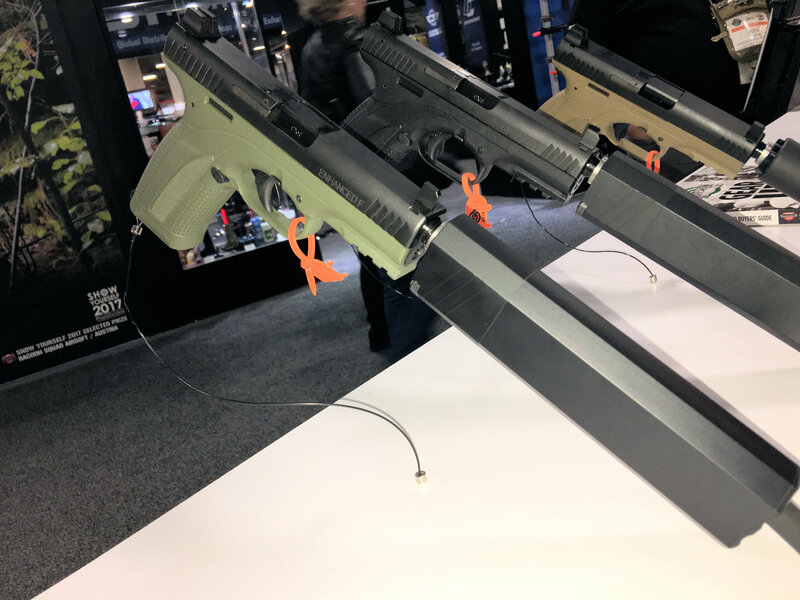 DR’s always found fast multiple target engagement to be a breeze with the Caracal pistols, and all the ones we’ve shot at SHOT Show Industry Day at the Range have been tack drivers. 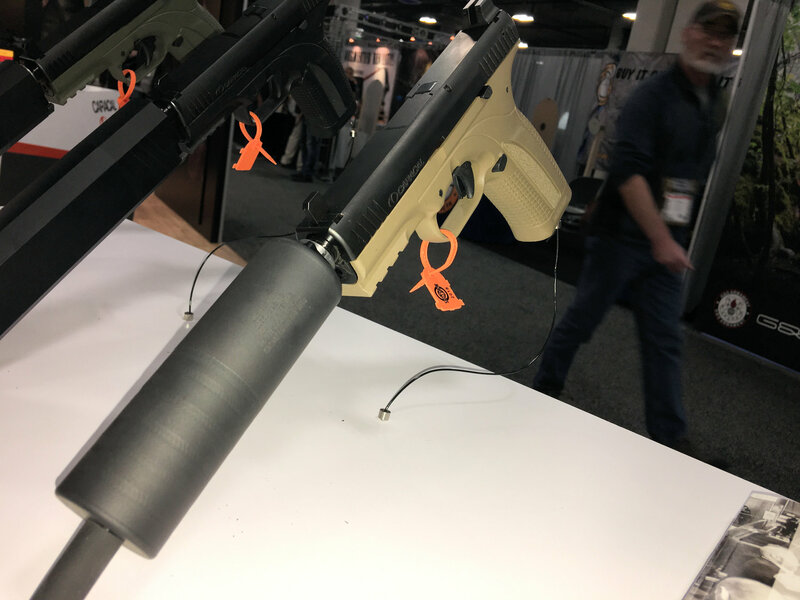 This performance is due to a number of design factors, specifically the pistols’ low bore axis (thanks to the fact that it’s striker-fired) and grip design and angle, with high grip tang. 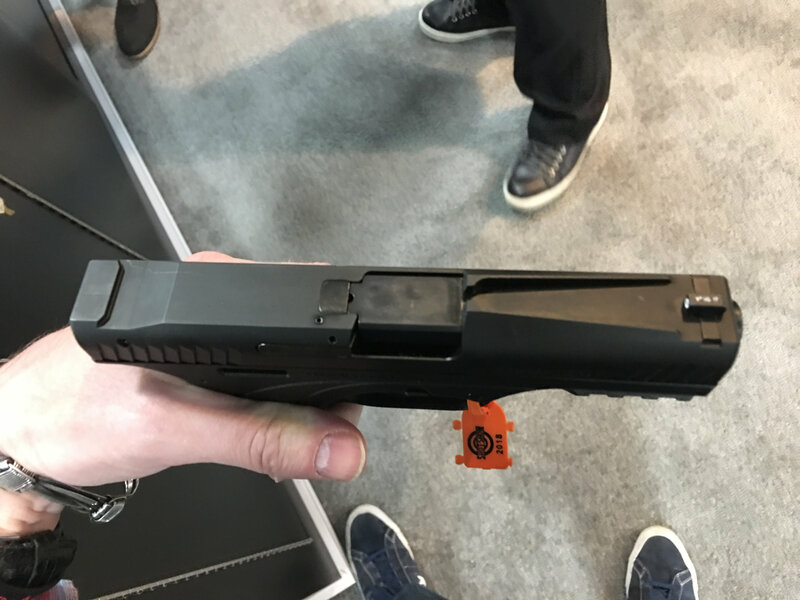 DR also appreciates the pistol’s 18+1 ammo capacity, which is the highest standard capacity in the business, to our knowledge, as well as the fact that all metal parts “receive QPQ nitriding with an enclosed post-oxidizing surface treatment to protect against rust and wear and increase durability”. 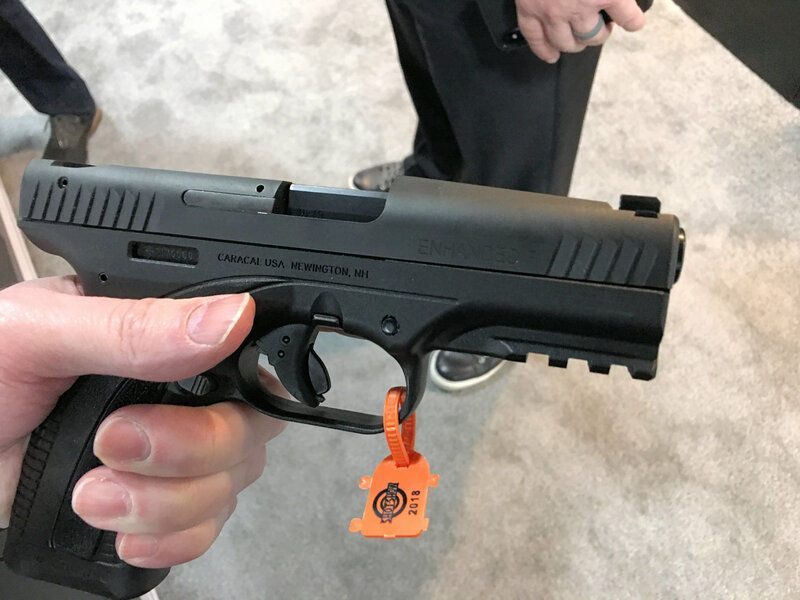 Here at Defense Review, we’ve always been Glock guys, primarily, but these latest made-in-the-USA Caracal Enhanced F Pistol models have piqued our interest enough that it may be time to add one or two to our collection. 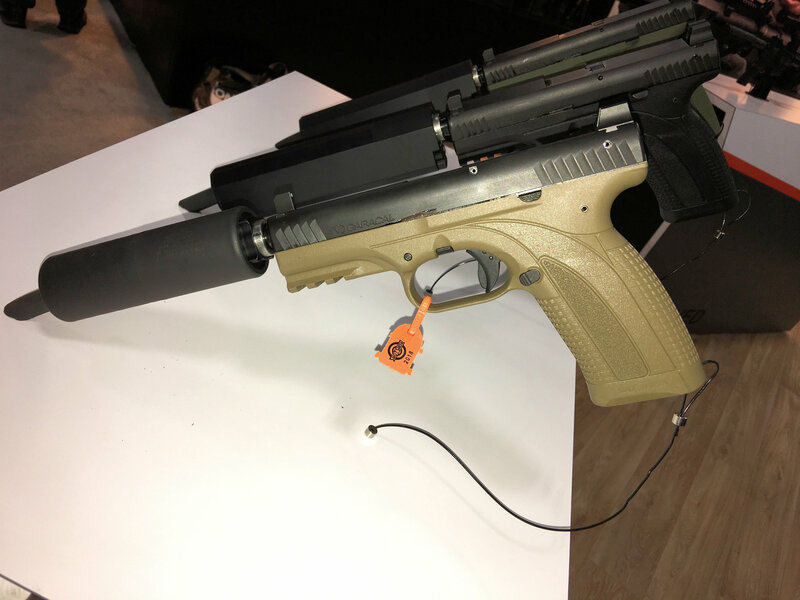 The new Caracal Enhanced F Pistol models are currently priced at $599.00 USD for the standard models, and $699.00 USD for the upgraded models (suppressor sights, etc.). Next: Caracal CAR 816 Short-Stroke Gas-Piston/Op-Rod Tactical AR-15 Carbine for Tactical Operations and Home Defense!